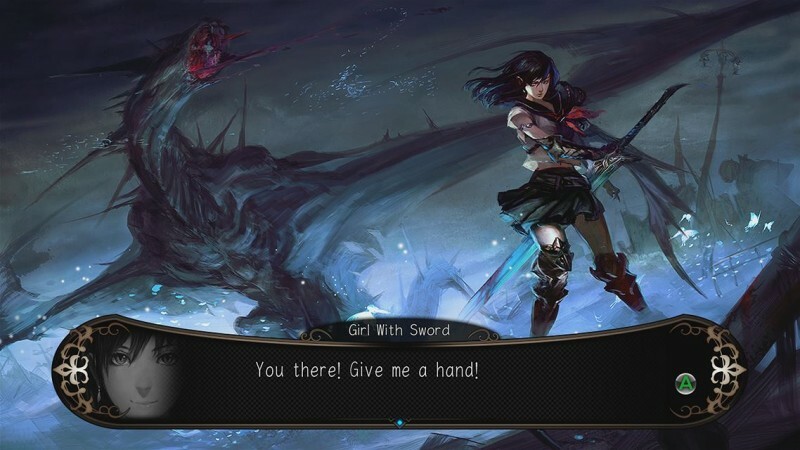 Stranger of Sword City is a dungeon-crawling JRPG from developer Experience. This genre has picked up a lot of popularity on handhelds and shows no signs of slowing down. Dungeon crawlers focus on a few main elements to be successful: strong narrative, exploration, character creation, and enjoyable gameplay. NIS America has released multiple titles over the years in this genre, and more often than not, make better choices than wrong. Let’s dig in and see if this reflects positively or negatively on their track record. 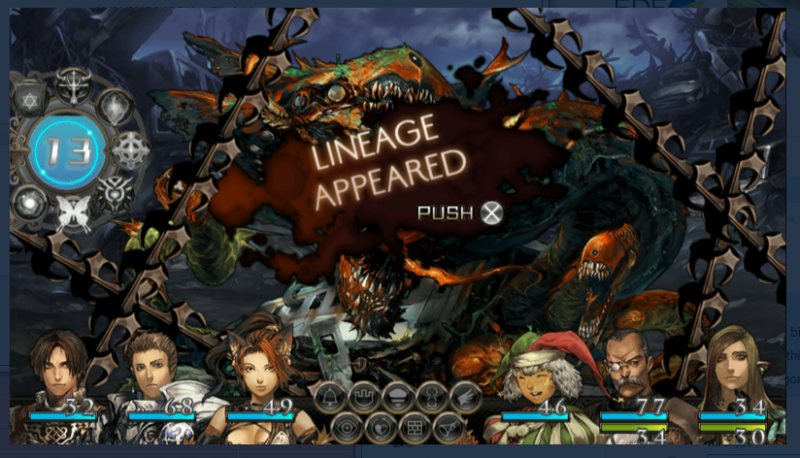 Stranger of Sword City starts out after your plane vanishes and crashes. You wake up in a strange dungeon as the only survivor. After your first encounter with a local, you realize that you aren’t in your world anymore. Your first battle begins to go south really fast, and thankfully you are saved by Riu, a lone girl with a sword who cuts the beast down in a single strike. After her rescue, you travel with her to Sword City, and she explains that you are not the first stranger to visit their city or their world. 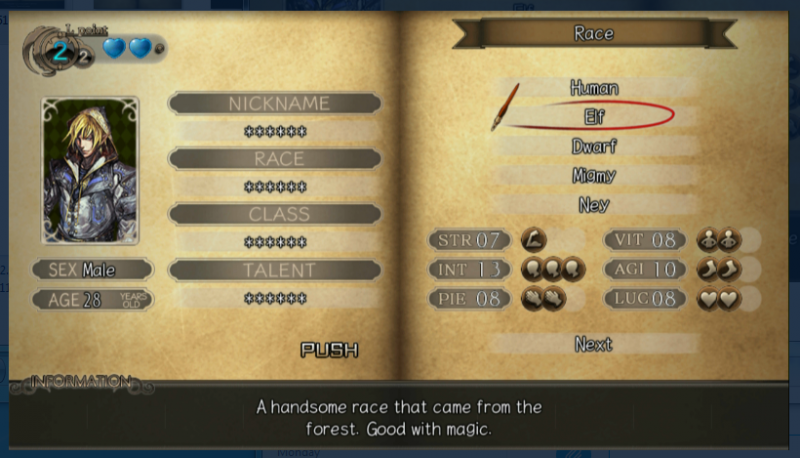 Being from Earth, you have unique abilities that make you an asset to Sword City and are swiftly recruited by Riu, the leader of Sword City. 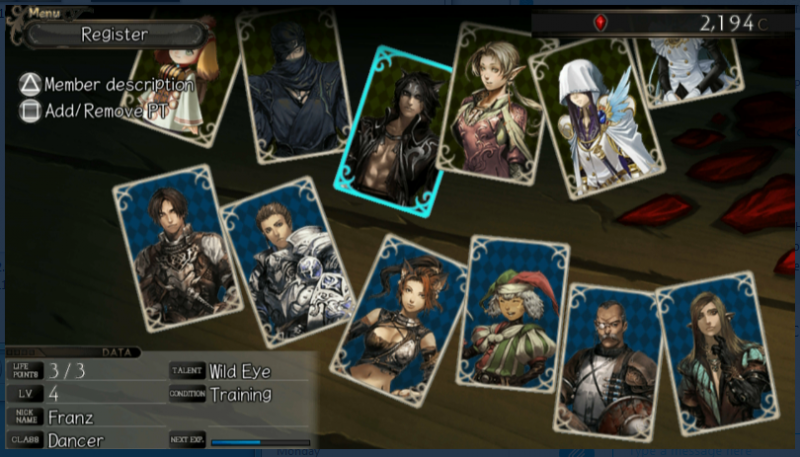 You’re then able to either recruit pre-made characters for your party of 6 or create the rest of your team from scratch like you did for your character. You have all the major archetypes of classes at your disposal: Knights, Fighters, Clerics, Wizards, and Rangers. On top of those, there are a few non-traditional roles such as Dancers, Samurai, and even Ninjas. This isn’t an all-inclusive list, but it gives you an idea about the variety you’re able to give your team. There is also an element of permadeath built into this title. Each character has a base amount of life points (not to be confused with HP), and each time a character faints in battle, they lose a life point. If they happen to lose all their life points, they vanish permanently. These can be restored either by rare/expensive items or by putting them into a recuperation state in town where they are unable to join you in battle for long periods of time. For this reason, it is imperative to keep team members on the bench so you can be prepared when things don’t go your way. It’s also important to maintain item stock and travel cautiously to prevent total annihilation. As you progress through the story, you learn that there are three main leaders in the world, each desiring the blood crystals that can only be obtained from boss-type monsters called lineage species. These are often bosses at the end of labyrinths or special creatures that will only pop up once certain conditions have been met, such as carrying specific items into certain dungeons. Once you acquire these various blood crystals, you can give them to one of the three leaders in exchange for special abilities that are unique to the strangers that have come to this alternate dimension. With this being my second play-through for the game, I will say there are interesting outcomes depending on who you give your crystals to, so keep that in mind as you progress through the story while attempting to make it back home. This dungeon crawler follows many of the handheld styles where you travel through the dungeon in a first-person perspective. You must be mindful not only of the monsters in your pathway but also the multiple varieties of traps as well. Combat is as you’d expect from a turn-based game, with you being able to issue Attack, Defend, Item, Skills/Spells, Divinity or Run commands to each of your party members before they act. The developers were also aware of the amount of fighting you will be doing and added a simple fast-act button which will redo your last turn instantly to cut down on time against less important battles. A new mechanic added to this game that has been absent from my previous experience in dungeon crawling RPGs is the hide function. Using a resource called morality, you are able to effectively hide in specific rooms of dungeons, giving you a chance to ambush various enemies that are transporting items. You are able to continuously hide; however, the longer you hide the greater the chance that you will be ambushed yourself. This is a great way to earn some awesome new equipment for your team since the boxes are marked with what types of treasures they hold inside. The trick here is that you only have a limited number of turns to kill the leading monster, as it will try to escape after a certain number of turns. 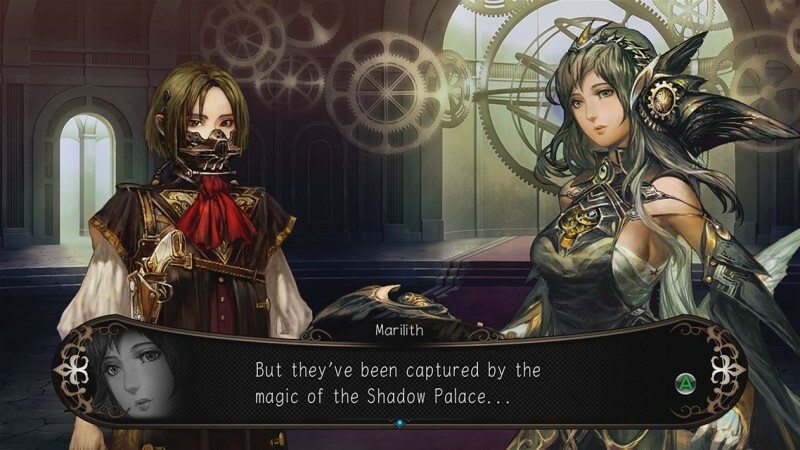 Stranger of Sword City sets out to do exactly what it has hoped for. It is a successful culmination of character creation and dungeon crawling and conquering, all with a solid narrative that keeps the player interested from start to finish. It makes a few missteps along the way with a few random steep difficulty spikes (although less noticeable than the Xbox One version), even during the tutorial mission which can demoralize new players new to the genre. The constant threat of permadeath looming over your party members also makes it tricky to accept losing in battle, meaning that you must always be on top of your game. The range in classes and ability to freely customize your team at any time gives you lots of options as you progress to tackle the challenges ahead of you. The game’s entire narrative is spoken in its original Japanese voice track and gives players the options to swap between two different art styles by either Yoko Tsukamoto or Oxijiyen, both of which are a pleasure to look at. Definite bonuses on the Vita version compared to the Xbox One include the portability and the touch controls. While these games play just as well on handheld vs. console, the ability to take this type of game on the road gave me more opportunities to pour into it while on trips or other various errands. Sadly the touch controls do little to nothing in this game other than being able to touch a location on the map to enable auto movement. While this feature is in both games, the ability to touch your desired destination is faster than moving space by space on the console’s map to achieve the same outcome, not a major bonus but a nice added touch in the end. It may not be perfect, but it definitely does many things better than other dungeon-crawling RPGs in the past and will be sure to please fans of the genre that own a PS Vita.